PORTLAND, Ore. --- Brent Crouch has been named head coach of the University of Portland volleyball program, Athletic Director Scott Leykam announced on Thursday. Crouch has spent the last four seasons at Saint Mary's College, most recently serving as the top assistant and recruiting coordinator for the indoor program and head coach of the sand volleyball program. "Brent is a great addition to the Portland family," Leykam said. "He is an educator at his core and fits the University's mission of developing well-rounded individuals. Brent brings extensive volleyball playing and coaching experience to the position, including a familiarity with program-building at an institution that has one of the top volleyball programs in the West Coast Conference. Brent also brings a great track record of club volleyball head coaching experience in key recruiting areas such as Oregon, Northern California and Southern California. He is a proven winner and has a clear passion and vision for our program." "I am thrilled to be joining the University of Portland," Crouch said. "In addition to competing in one of the top volleyball conferences in the country, UP is a challenging academic environment and nestled in an exciting city. I am eager to be with the team on the court and get started. We have a lot of work to do, but I know that we are all up for the challenge. Scott Leykam and Karen Peters are clearly doing a fantastic job with athletics in general, and the department sparkles with positive energy, diligent hard work, and intellectual rigor. I am truly fortunate to be joining the Pilot family and wish to express gratitude to Scott and Karen for this opportunity." Crouch arrived in Moraga, Calif. in 2010 and has helped the Gaels finish in the top three of the highly competitive West Coast Conference all four seasons. Working under head coach Rob Browning, Crouch and the Gaels earned a 2012 NCAA Tournament berth and advanced to the second round. Crouch was directly involved in all aspects of the Saint Mary's volleyball program including recruiting, scouting, practice planning, statistical and video analysis, scheduling, academic support, and other duties. He managed both the offense and defense in matches over the course of his tenure, and led the Gaels offense to the top of the WCC in 2013. Crouch had particular success as the academic coordinator, mentoring multiple WCC All-Academic players and assisting the team to the highest GPA of all Saint Mary's athletic programs. The Gaels have received several academic awards during his time, including public recognition from the NCAA as a top APR school and the AVCA team academic award for the 2012-13 seasons. In addition to the indoor success at Saint Mary's, Crouch took over sand volleyball head coaching responsibilities prior to the 2013 season and in his first year led the program to the best record in the NorCal Consortium, which includes Stanford, California and WCC schools Pacific, San Francisco and Santa Clara. His top pair earned a bid to the American Volleyball Coaches Association Collegiate Sand Volleyball National Championships and finished in the top 16 nationally. The team finished the season ranked No. 9 nationally. During his time in Moraga, Crouch also served as both an indoor and beach coach in the USA Volleyball High Performance Program. "Brent has been an exceptionally good assistant for me and an invaluable leader and role model for the young women in our volleyball family," Saint Mary's head coach Rob Browning said. "Through these years together, Brent has become a trusted friend and respected colleague. When you get great assistant coaches like Brent, you know that you are going to lose them when good opportunities arise. While we are going to dearly miss Brent, I am so happy for him and Marcy. This is a fantastic opportunity for them, and a great hire for Portland. 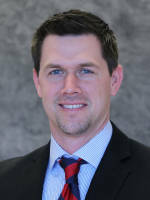 The young women in the volleyball program are fortunate to have such a quality coach and excellent leader in Brent." Prior to his time at Saint Mary's, Crouch spent the previous six years as head coach at various levels. On the club circuit he served as the Associate Director/Recruiting Coordinator for the Skyline Juniors Volleyball Club in Dallas, Texas. He was also the head coach for the 14-RoShamBo Girls Volleyball, part of the Skyline Club. In 2008, as the head coach of the 17's for the Wave Girl's Volleyball club in Encinitas, Calif., his team finished third in the Open Division at the Junior Olympics. That season also included a gold medal at the Southern California National Qualifier in the Open Division. His former club players have competed for various Division I programs including Stanford, USC, Pepperdine, Santa Clara and others. Crouch served as head coach of the men's volleyball team at San Diego City College from 2006-08. The first-year program finished fifth in the Pacific Coast Conference as he recruited and developed two all-conference players in 2006 and 2007. Crouch had a decorated beach volleyball playing career as he was a AAA-rated player in the California Beach Volleyball Association from 2005-07. He finished second in the California Cup State Championships in Manhattan Beach, Calif. in 2005. Crouch played collegiate volleyball for Texas A&M from 1993-96. He earned his bachelor's degree in history in 1998 from Texas A&M and earned his master's in philosophy from Texas A&M in 2000. Crouch went on to earn his Ph.D. in philosophy from Oregon in 2006 and has held various teaching positions at Oregon, San Diego City College and Saint Mary's since 2000. Not only do I believe Crouch to be an excellent recruiter and coach, but it shows that AD Leykam is putting some serious commitment into the moribund volleyball program. Interesting that Mr. Crouch was the head coach of the sand volleyball team. I'll wager that UP will establish a sand volleyball team within the next two years. 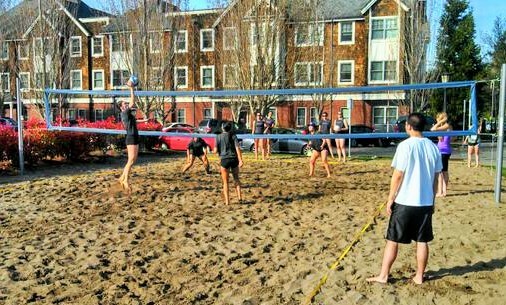 DoubleDipper wrote: Interesting that Mr. Crouch was the head coach of the sand volleyball team. I'll wager that UP will establish a sand volleyball team within the next two years. Hmm, based upon this picture taken today by a member of the athletic staff, it would appear we may not have wait a couple of years after all. That's Coach Nate Ngo in the foreground. DoubleDipper wrote: I'll wager that UP will establish a sand volleyball team within the next two years. Probably no announcement until after the conclusion of volleyball season in December, but I saw a release from TCU stating that UP would be one of 40 D1 schools that will have sand volleyball in 2015....with competition for a National Championship in 2016. This seems to be the way that collegiate volleyball is moving. Programs that plan on having serious indoor volleyball teams are forming a sand team, as well. My understanding is that the sand teams are comprised of many of the same student athletes as indoor teams, with a Spring competition schedule, that doesn't cost the University much. LMU, Pacific, Pepperdine, USF, SCU, SMC all have sand teams already (I'm surprised USD does not yet?). And now Coach Ngo is gone....but many will say to a better place. It was known that this was going to happen sooner or later, so congrats to Coach Ngo! We gotta have a rule where nobody gets to leave until they've had at least a half dozen beers with me. I've got an hour this evening and Pliny is on tap. We could still do it. U of O has a team as well. Who do you bribe to get 6 Pliny's in one sitting? After the departure of assistants Nate Ngo and Nellie Coleman, Coach Crouch needed to find an assistant that could keep the momentum of the program going.....he looks to have done that with the hiring of Jeff Baxter from LMU.